If you're new(er) to my blog and haven't come across these Wordles before, I've got a little tutorial on creating blog Wordles here, and they're great for any text you want to put it - song lyrics, for example, I've done a few of those! 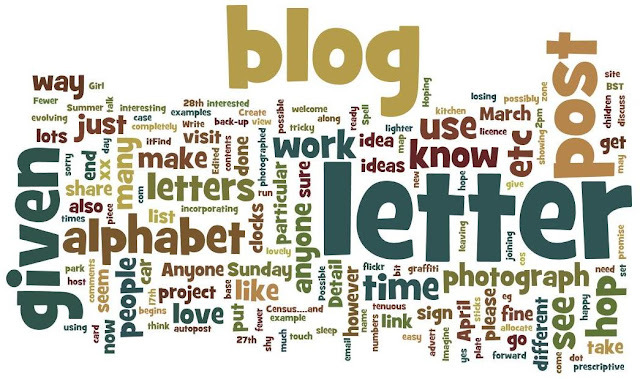 I love the way "blog", "letter" and "post" are BIG. It's all about the writing.. I'm loving that wordle...fab font...I have yet to be able to get a wordle to work for me!! Hey Ho...I'll just enjoy yours instead!! I love seeing your trip back in time. I"d forgotten all about wordles already - my mind is such a sieve. I love to see your wordles I'm curious though what you actually put in, is it just one post or several? Thanks for the tutorial Mel have made my own now. Love the wordle and am inspired to try one of my own. I love this idea! I have never seen or used one before - is now on my ideas page - thank you! haha Rindas comment made me smile cos I'd forgotten the wordles too!! Off to read your tutorial, for which many thanks! I've often admired yours but not known how to go about it. 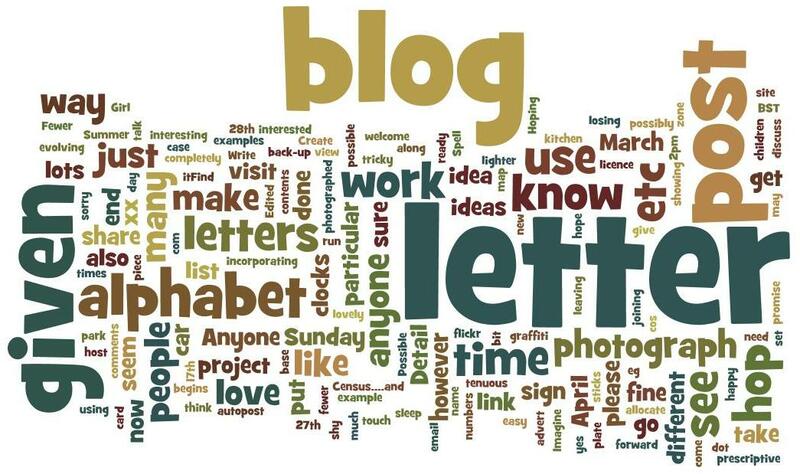 Great to see the good old Wordle back again Mel love the way the word Blog really stands out. I always enjoy seeing the Wordles. I need to do one of these soon. Going to check out your tutorial now.